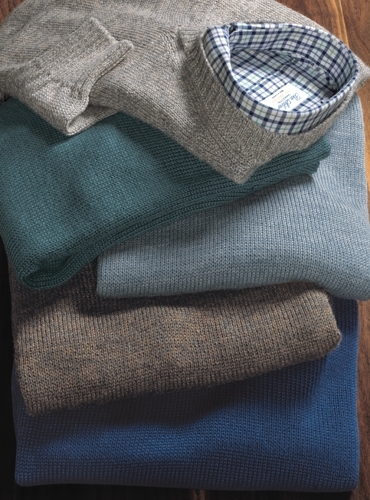 The texture of our alpaca and silk long sleeve V-neck sweaters is incredibly soft and ingratiating. 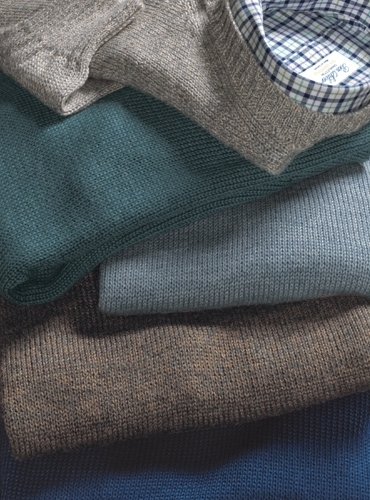 The luxurious comfort of these sweaters, knitted exclusively for us by Inis Meain of Ireland, is a given, but the color palette is always remarkable, reminiscent of the colors of the coastal areas of Ireland. 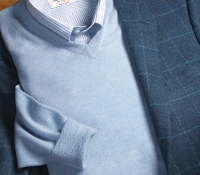 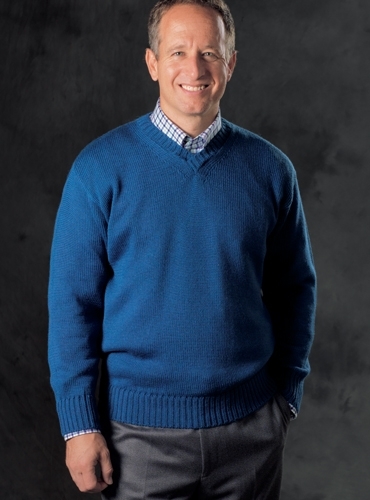 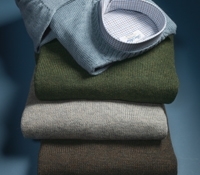 Each sweater has a ribbed V-neck, banded cuffs and waistband. 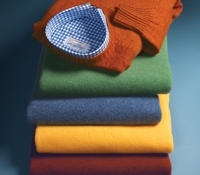 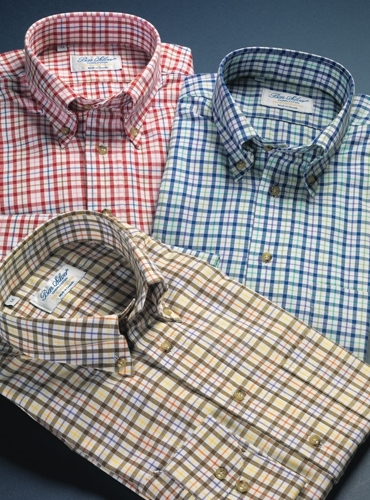 Shown from top to bottom: A-cloud; B-teal; C-ocean; D-nutmeg; E-indigo.